An apparently angry and frustrated ex-President Olusegun Obasanjo has written what clearly competes as one of the most acerbic letters in modern history to President Goodluck Jonathan, accusing him of ineptitude and of taking actions calculated at destroying Nigeria. more after the cut. “Nigeria is bleeding and the hemorrhage must be stopped,” Mr. Obasanjo said in the 18-page letter dated December 2, 2013. He said Mr. Jonathan has failed to deliver on his promises to the Nigerian people, stem corruption, promote national unity and strengthen national security. He said in the letter titled “Before it is too late” that rather than take steps to advance Nigeria’s interest and up the standards of living of Nigerians, Mr. Jonathan had betrayed God and the Nigerian people that brought him to power, and has been pursuing selfish personal and political interests based on advice he receives from “self-centred aides”. the brink, Mr. Obasanjo lamented that Mr. Jonathan had become terribly divisive and clannish, destroying his own party, polarizing the country along regional and religious lines and ridiculing Nigeria in the comity of nations. Without mincing words, Mr. Obasanjo blamed Mr. Jonathan for the crises tearing the ruling Peoples Democratic Party, PDP, apart. He said apart from using party chairman Bamanga Tukur to cause multiple crises and divide the ranks of the party, the president’s failure to keep a promise he made not to seek a second term is also generating tension within the ruling party. “It would be unfair to continue to level full blames on the Chairman (Tukur) for all that goes wrong with the party,” Mr. Obasanjo said. 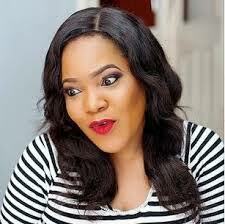 “The chairman is playing the tune dictated by the paymaster (Jonathan). But the paymaster is acting for a definitive purpose for which deceit and deception seem to be the major ingredients. The former President said Mr. Jonathan told him before the 2011 election he would not seek a second term, and made the same promise to governors, party stakeholders and Nigerians. The president’s refusal to keep that promise cast him as a man without honour, Mr. Obasanjo said. Mr. Obasanjo also accused Mr. Jonathan of anti-party conducts – supporting opposition parties’ candidates in governorship elections in Lagos, Ondo, Edo and Anambra states at the detriment of PDP’s own candidates –, and of pitting party members against one another. 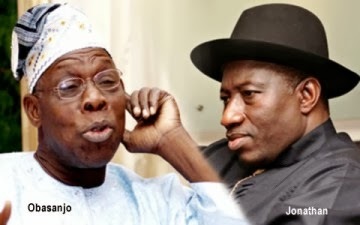 Saying the President had failed to address the underlying causes of the Boko Haram menace, Mr. Obasanjo urged Mr. Jonathan to adopt a carrot and stick approach in dealing with the insurgency explaining that “conventional military actions based on standard phases of military operations alone will not permanently and effectively deal with the issue of Boko Haram”. Mr. Obasanjo also tackled Mr. Jonathan for allegedly being clannish. “For you to allow yourself to be “possessed”, so to say, to the exclusion of most of the rest of Nigerians as an “Ijaw man” is a mistake that should never have been allowed to happen. Yes, you have to be born in one part of Nigeria to be Nigerian if not naturalized but the Nigerian President must be above ethnic factionalism. And those who prop you up as of, and for ‘Ijaw nation’ are not your friends genuinely, not friends of Nigeria nor friends of ‘Ijaw nation’ they tout about. “To allow or tacitly encourage people of ‘Ijaw nation’ to throw insults on other Nigerians from other parts of the country and threaten fire and brimstone to protect your interest as an Ijaw man is myopic and your not openly quieting them is even more unfortunate. Two Ijaw men, ex-militant Mujahid Dokubo-Asari, and a former federal commissioner for information, Edwin Clark, who carries himself around as the political godfather of the president, are known to talk down on people opposed to the president. Mr. Obasanjo also accused Mr. Jonathan of placing over 1000 Nigerians on political watch list and “training snipers and other armed personnel secretly and clandestinely acquiring weapons to match for political purposes like Abacha and training them where Abacha trained his killers”. He wondered why the Presidency was providing assistance for a murderer to evade justice. Mr. Obasanjo did not mention the name of the murderer he accused the President of protecting but he seems to be referring to Hamza Al-Mustapha, a former security aide to late Head of State, General Sani Abacha, who is facing trial for allegedly masterminding the killing of Kudirat Abiola, the wife of Moshood Abiola, the winner of the annulled 1993 presidential election. Mr. Al-Mustapha was freed by the appeal court in July but the Lagos state government has since appealed the judgment at the Supreme Court. The former President also called on the National Assembly to rise up and take decisive action over the recent allegation in the country that the Nigerian National Petroleum Corporation failed to remit billions of dollars in proceeds of crude oil sales to the federation account. “This allegation will not fly away by non-action, cover-up, denial or bribing possible investigators,” Mr. Obasanjo told the President. “Please deal with this allegation transparently and let the truth be known. Mr. Obasanjo said he wrote the letter in the national interest, saying nothing, at this stage of his life, would prevent him from standing up for whatever he considers to be in the best interest of Nigeria, Africa and the world. He said he was ready for whatever backlash his letter would provoke from the presidency. “Knowing what happens around you most of which you know of and condone or deny, this letter will proke cacophony from hired and unhired attackers but I will maintain my serenity because by this letter, I have done my duty to you as I have always done, to your government, to the party, PDP, and to our country, Nigeria…,” Mr. Obasanjo said.